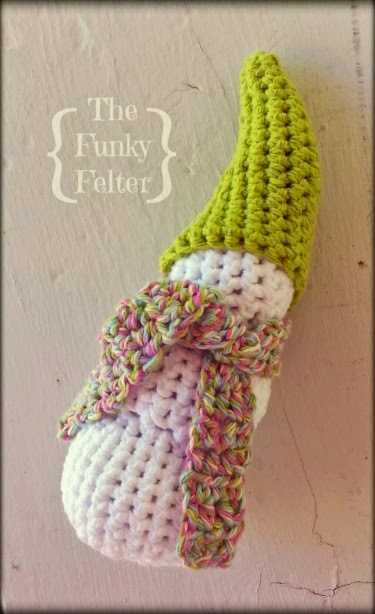 When scouring the web for crochet projects to try while recovering from recent surgery, I came across this adorable crochet snowmanpattern by Red Heart Yarns. As you can see in the photo above, I added a crocheted cone hat and scarf of my own pattern, but there's also another little detail that's different. After making about a half dozen of this snowman ornament in various pattern adaptations of my own, I realized what I had done just last night. Picking up my crochet hook to make another little amigurumi figure, I got about halfway through it and focused in on my stitches. For whatever reason, it hit me - that's the inside, uh, on the outside. I need to flip it before stuffing it. Woops! Then I realized all my crocheted snowman ornaments were inside out. I had been so excited to crank out several for upcoming Christmas gifts and donations that I'd stuffed them in haste without flipping my work along the way. I've known for quite some time that there's a right side and a wrong side to crochet. Unfortunately knowledge doesn't always equal remembrance which, well, leads to mistakes...happy little crafting mistakes. Thankfully, showing the right side or wrong side in amigurumi figures is really a personal choice as to what you like your own critters to look like. And, I don't mind so much that my unique crochet snowman is inside out. He'll have an entire family of inside-outers to go with him when I'm all done making hats, scarves, etc. Hopefully, in the future, I'll intentionally remember to choose whether I want my crocheted amigurumi animals and other figures like the snowman to be an "inny" or an "outy." Either way I think they are all cute and, don't forget, fun to make in no time at all. If you aren't familiar with the right side and wrong side of crochet, basically the wrong side stitches look like upside down tables (an open V with a line at the bottom) and the right side stitches look like inverted V shapes. Check out this very well done diagram on Pinterest for a better understanding and pin it for later if needed. Below are a few links to excellent articles about right side vs. wrong side in crochet along with some good beginner crochet information. 5 Things I've Learned about Amigurumi by Drawn and Hooked - an excellent easy read about not only right side vs. wrong side but also a few other common mistakes when crocheting figures and shapes. Comparing Amigurumi Techniques by Nerdigurumi - good video on right side vs. wrong side with other tips including working in one or both loops for shaping figures. Top 10 Crochet Amigurumi and Crochet Tips for Beginners by Craft Sauce - an all around great roundup of advice including a very well done diagram on right side vs. wrong side. Like my little crocheted snowman? Well, I have another unique crochet snowman pattern (i.e. brand spanking new) coming up on my blog as well as some holiday amigurumi figure patterns to share. 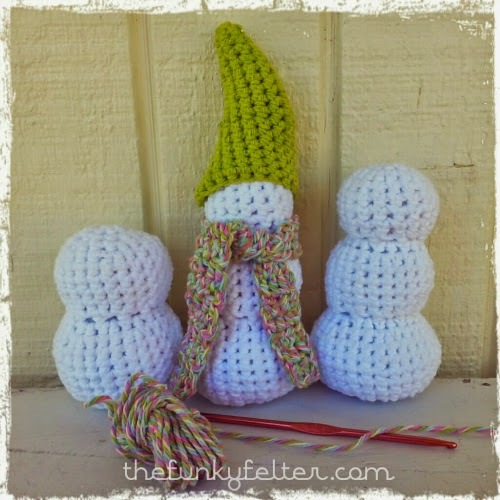 And, I'll give you free crochet pattern links for the snowman accessories and some other surprises too. Be sure to follow me or subscribe to my feed through the subscription box on the side to get those upcoming posts. Don't miss out!